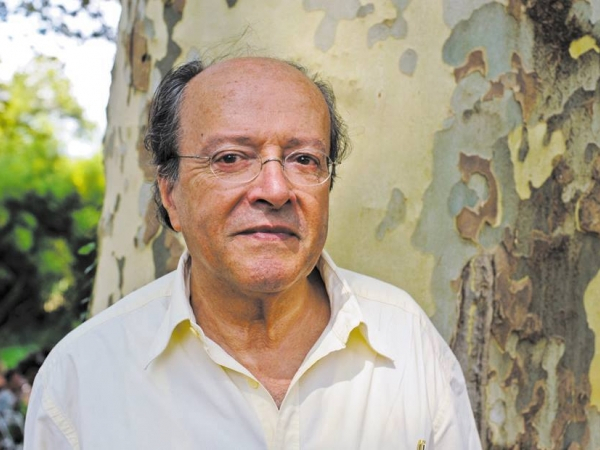 Mohamed Berrada is one of Morocco’s leading writers. Author Mohammed Berrada discusses his decision to write in Arabic, the influence of France, and the development of literature in Morocco and the region. 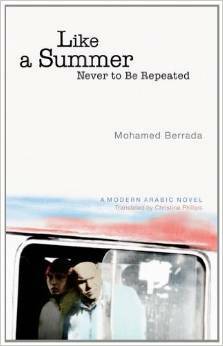 Mohammed Berrada is considered one of Morocco’s most important contemporary writers. Born in Rabat in 1938, he has written numerous books; he is a literary critic, translator (French to Arabic) and has taught Arabic literature at the Mohammed-V University in Rabat. One of the founders of the Moroccan Writers Union, he was also its president from 1976–1983. Berrada studied Arabic literature in Egypt and was part of a literary movement that began to experiment with language and integrated local dialects — in Berrada’s case, fassi (from Fez) into his novels. What influence has France had on your writing in terms of inspiration, colonialism, or thought? For me, France is a pole, a source of enlightenment. Given that France occupied us for over 40 years, colonialism forces one to be open-minded towards the other, to see what happens on the other side. Little by little, as I learned French, it became a way of thinking, and of dialogue. Of course I was inspired by writers ranging from [Alphonse] Daudet to [Jean-Paul] Sartre. As a lifestyle, the culture and civilization were very present and constituted an imaginary world. At the same time I was raised in a nationalist milieu, so there was also rejection of all that was colonialist. Was the choice to study Arabic and to write in Arabic a political act or did it come naturally (or both)? My uncle sent me to a school in Fez that was built by the Moroccan Nationalist Movement. Its goal was to counter the French-language movement. This allowed me to study Arabic, which channeled the Nationalist project. It federated its constituents — Arabic or Berber speakers, for example — because they could understand each other. Arabic also allowed the Nationalist Movement to have ties with political movements in other Arab countries such as Syria or Egypt. In the 1950s, we couldn’t continue our studies at a university in Morocco so we had to study in Iraq, or Syria or Egypt. Those who had studied in French had the opportunity of going to university in Bordeaux or in Paris. So this choice allowed us to resuscitate the Arabic language, which, with Berber, is now the official language in Morocco. What inspired you in the Arab world in terms of authors, eras, or political movements? The influence of the Arab world was enormous. Of course the great writers provided inspiration, but living in Egypt for five years it was also the cinema, the theater, and music. Above all I felt that this Arabic language to which I belong is manifold. 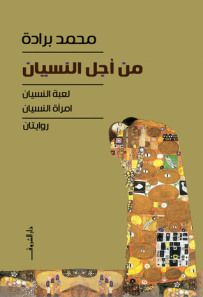 There was modern standard Arabic, which is very supple — Freud, Sartre and so many others have been translated into it. And then there was the Egyptian dialect, which dominated as an artistic medium. That’s what galvanized me to write L’ubat al-Nisyan (The Game of Forgetting) and to use dialect in dialogues to explain the character. Little by little I used [the North African dialects called] derja above all for dialogues. As far as the political dimension, we all had this dream of the Nahda [renaissance]. This thought that began, was aborted, then began again, but these movements came to nothing. We are united in our failures. Arab countries live in a disorientation because of these missed opportunities and the lack of democracy. The regimes that settled in following independence were unfaithful to what people had hoped for. Everything has yet to be done. Since the 1970s when you helped found the Moroccan Writers Union, how has Moroccan literature evolved? The idea came from [philosopher, novelist and poet] Mohammed Aziz Lahbabi. I was young and convinced that this union was the place to develop a dialogue. We wanted it to be open to the left and to the right. In the 1960s, all the young Arabic-language writers followed [French philosopher Jean-Paul] Sartre’s way of thinking. It was the beginning, but we evolved and even realism, which dominated, left room for other movements. Moroccan literature was open to everything. There were also writers in the union who wrote in French. At the same time, Mohamed Choukri was there and I published two chapters of his al-Khubz al-Hafi (For Bread Alone) before it was translated. It was really the cutting edge. Our friends writing in French weren’t necessarily bolder. Today there are three times as many authors who write in Arabic than in French. But this comes with its own difficulties, due to the factor of illiteracy in Morocco, which is at least 50%, as well as problems with distribution. This means no author is autonomous financially — none can live from writing. In Hayawât mutajâwira, Morocco is the subject of your novel. You have written about Egypt in Mitla Saifin lan Yatakarrar (Like a summer that won’t return). Are you tempted to write about other countries in the Arab world? In my novels, I always try to understand my relationship with time. Time is an essential factor. There’s always a distance with time, daydreaming, and time combined with dreams. In Hayawât mutajâwira, I used the concept of neighbors to express the fact that there are several societies in the country that is Morocco. Naïma Ait Lhna is influenced by a French tendency. She ends up in prison because society can’t help her stay on the right path. Ould H’nia is illiterate and represents a typical type of Moroccan youth today. El Wariti is a religious scholar who learned French, but after independence evolved towards the Makhzen, or the centre of power, and has a fairly open-minded rhetoric. The novel reveals the lack of coherence and the discrepancies in today’s society. I wrote about Egypt because I lived there for five years, but I would have to know other Arab countries much better in order to write about them. The Arabic language unites countries from the West to the East in the greater Middle East, however the socio-cultural realities can be very diverse. As a Moroccan author benefitting from a long cultural and literary tradition in Arabic and French, what do you think of the UAE’s efforts to establish themselves as important centers in these domains? The language is what contributes to the richness of this Arab world where 300 million people can speak the same language. Modern standard Arabic is a great advantage when you compare it to the 26 languages spoken in Europe. At the same time, we have 22 dialects in this space. But 80% of them stem from classical Arabic, so language really occupies an important space where there can be many positive interactions. The Gulf countries, which belong to this language and patrimony, can accomplish a lot because of their financial resources. Organizations such as Kalima [translation project] can preserve the patrimony. There haven’t been many strategies to allow the Arabic teaching methods to evolve; this could give a breath of fresh air to the language.